At Our Lady of Grace School we celebrate three promotions Transitional Kindergarten, Kindergarten and Eighth Grade. Slide into Kindergarten- TK celebrates the end of the first year of their Kindergarten program. Kindergarten Celebration- Kindergarteners celebrate the end of kindergarten with a presentation for parents. 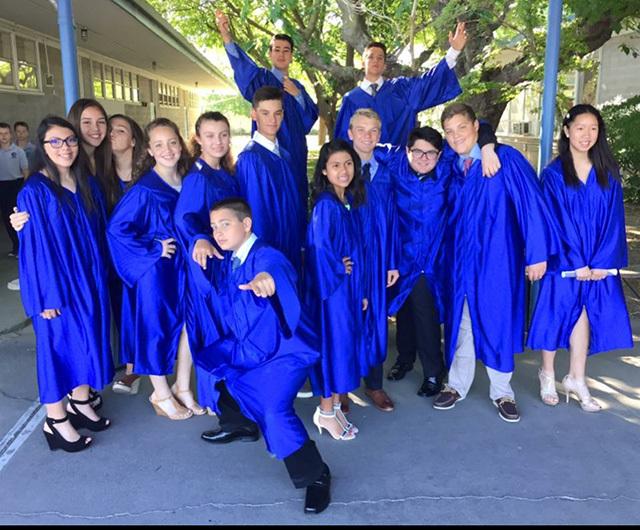 Eighth Grade- Eighth grade at OLG is quite a celebration with a Baccalaureate Schoolwide Mass, family breakfast, and a Graduation Ceremony with diplomas, speeches, awards, and scholarships.